IPv6Now's key personnel have each worked in the Internet world since the late 1980s, developing a broad spectrum of experience covering business, research, law, consulting, Internet services and hands-on technical provision. 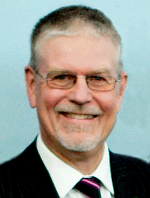 Tony Hill has over two decades of experience in linking research to commercial and other community outcomes, particularly through more advanced approaches to research management. 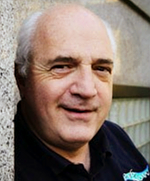 In 1999 he established his own consulting business, Capital Hill Consulting Pty Ltd, to help foster improved approaches to cooperative research projects. In 2007 he jointly founded IPv6Now Pty Ltd to support uptake of the next generation of Internet technology, having been President of the Internet Society of Australia from 2001 to 2011. He was chair of the Australian National ICT Industry Alliance from 2005 to 2007 and is chair of the Australian IPv6 Summit Steering Committee. Kevin Karp, B.E. (Hons), B.Sc, GradDipSIA, is the founder and Managing Director of PPS Internet. He has over 25 years of experience in board-level commercial management of ICT and investment industry enterprises. In 1995 PPS established Semper.Net, one of Australia's first Internet managed services networks. 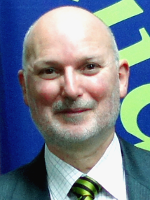 In 2007 Kevin negotiated and directed PPS's acquisition of Studentnet, Australia's oldest schools education network, and jointly founded IPv6Now. He is a founding member and Secretary of the Internet Society of Australia, a Senior Member of the Association for Computing Machinery (ACM) and a Fellow of the Financial Services Institute of Australasia (FINSIA). Michael Biber is founder and President of the IPv6 Forum in Australia and was Chair of the AARnet IPv6 Working Group. During 1998-2005, he was the Executive Director of the Advanced Networking Forum Australia (ANFA), which managed the MPLS Forum, ATM Forum and Frame Relay Forum in Australia. He has led strategic architecture projects for large, complex carrier and enterprise network solutions, ranging from regional/rural broadband networks to dedicated government and enterprise networks throughout Australia and internationally. Michael is IPv6Now's specialist in customised IPv6 services and training. Kate Lance, BA BSc PhD (Astronomy, ANU), has worked in Internet technology since the late 1980s, starting out as a Unix system administrator. She was System Manager and Director of Internet Services at the pioneering ISP Connect. She was a founder of the Internet Society of Australia and Executive Director from 2002 to 2006, and has been Communications Manager of IPv6Now since 2007. 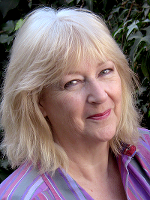 She is also an author: Redbill: From Pearls to Peace and Alan Villiers: Voyager of the Winds have both won awards. Her novel, The Turning Tide, was published in 2014 by Allen & Unwin.